Dirty wire drawing oil causes die deformity, leading to increased rejections. Wire Drawing Oil Cleaning requires special centrifuge separators that can efficiently clean high viscosity oils at raised temperatures. The separators’ efficiency for Wire Drawing oil cleaning can be as high as 98% for all particles above 3 microns. Wire drawing oil cleaning by separators ensure saving in oil & tooling cost, drop in rejection rate, Improvement in component quality, no foul smell and space saving. The separators prove highly beneficial for machining process like Brushing, Honing, Lapping, Deburring, Grinding, Cutting, Drilling, Vibratory Finishing, Cold Forming, Wire Drawing Oil Cleaning, Industrial Washing and many more. 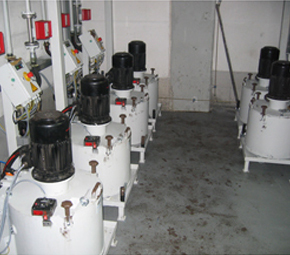 The separators can achieve wire drawing oil cleaning up to oil viscosity of 700 cSt.